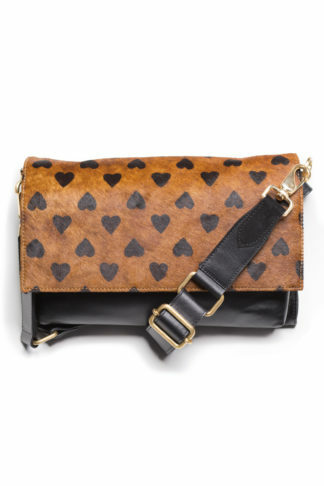 Our TriBeCa Pouch in black leather is a cool, quirky statement piece. 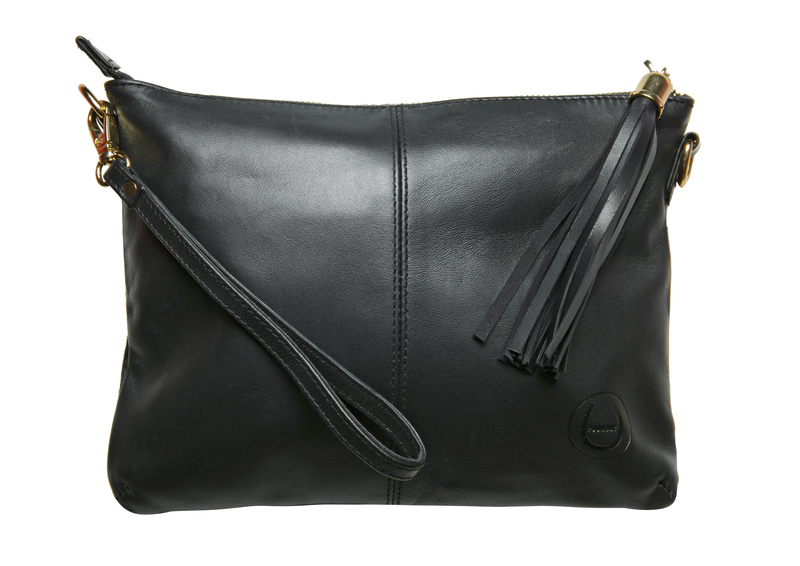 The front of the bag is finished in a smooth, sleek black cow-hide. 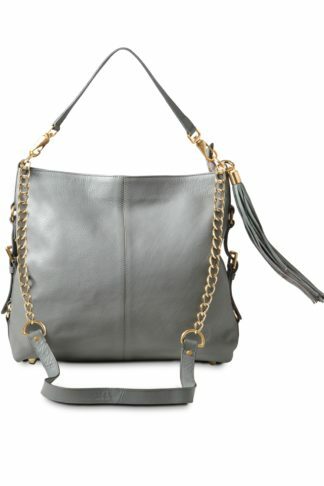 The bag is easy to wear, fitting into any outfit colour palette. It features four detachable straps to cover every wardrobe eventuality. 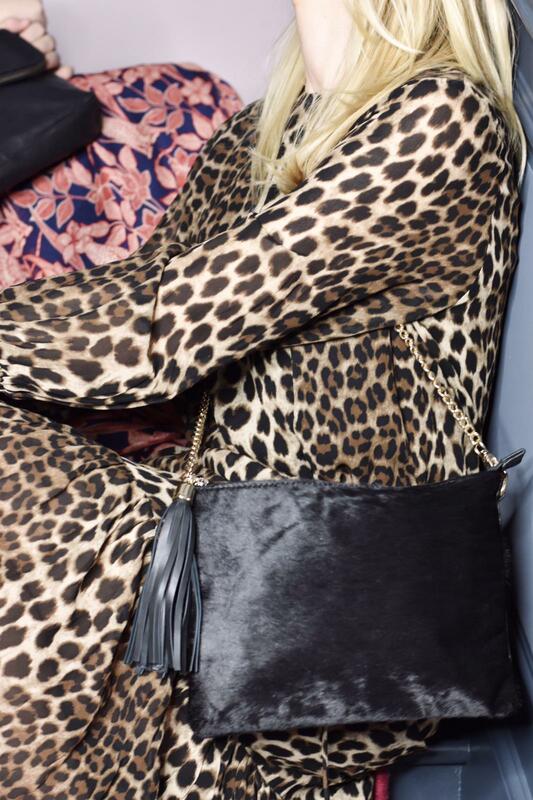 A monochrome animal printed strap for an easy fashion -fix. 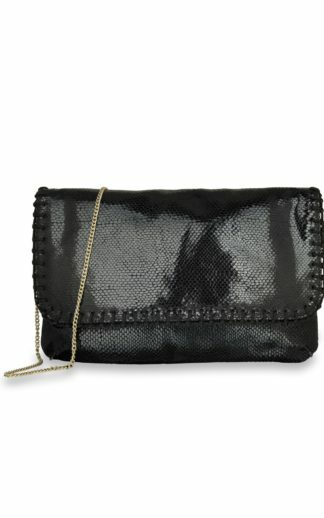 Lastly a wrist-strap to effortlessly transform into a clutch for the evening. 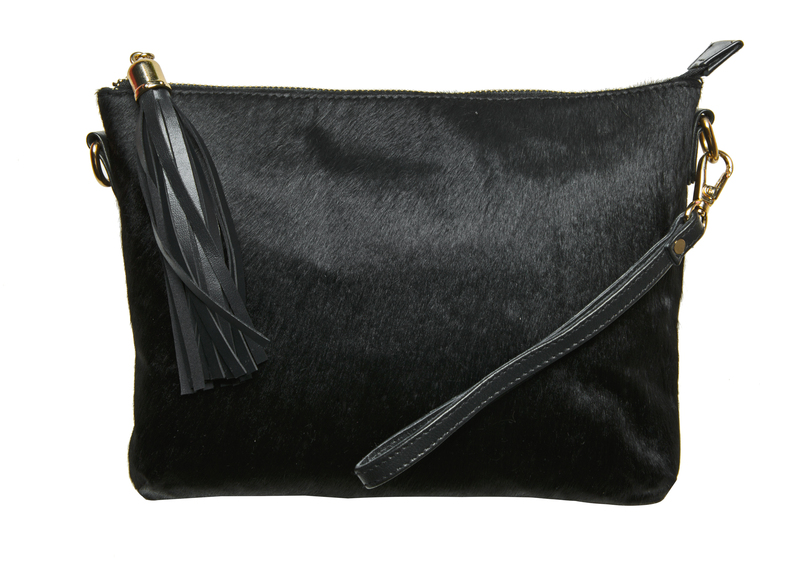 The bag is nicely finished with a sumptuous leather zip-pull tassel, brushed gold hardware and is fully lined in a soft black twill. A spacious and sleek bag, designed to add a little extra drama. 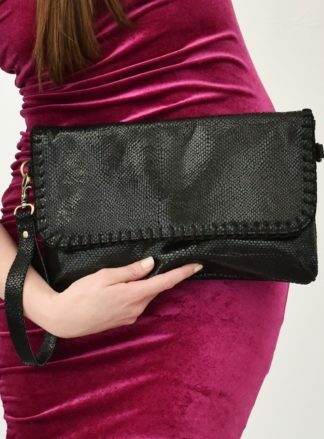 Our Tribeca pouch features a sleek, smooth black cow-hide finish on the front, with a high-quality black leather reverse. 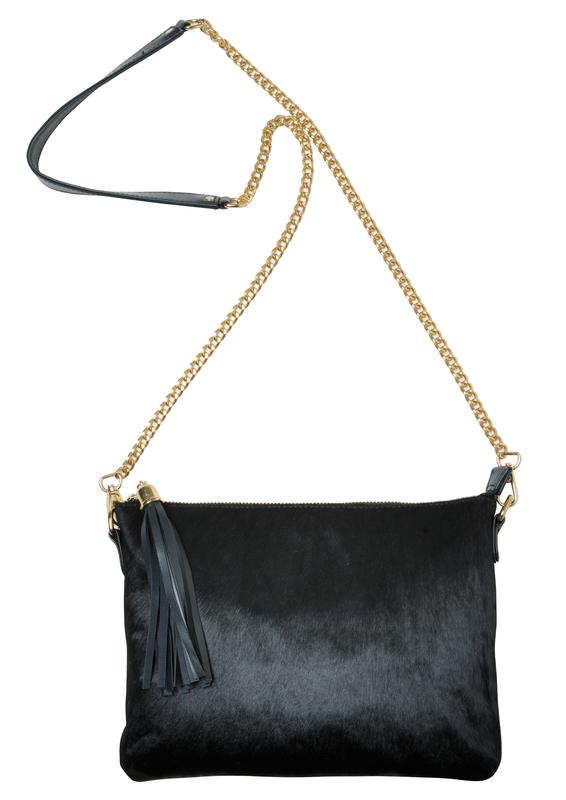 Finished with chunky gold hardware, it gives the bag a rich, sensuous feel. Fully lined in black twill- it also has two black leather trimmed internal pockets. 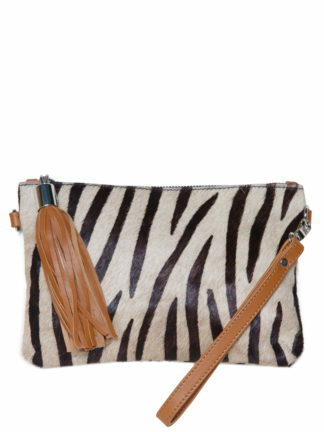 The Tribeca Pouch is a sophisticated, luxe piece. It has ‘grown- up’ feel, with a cool urban edge.